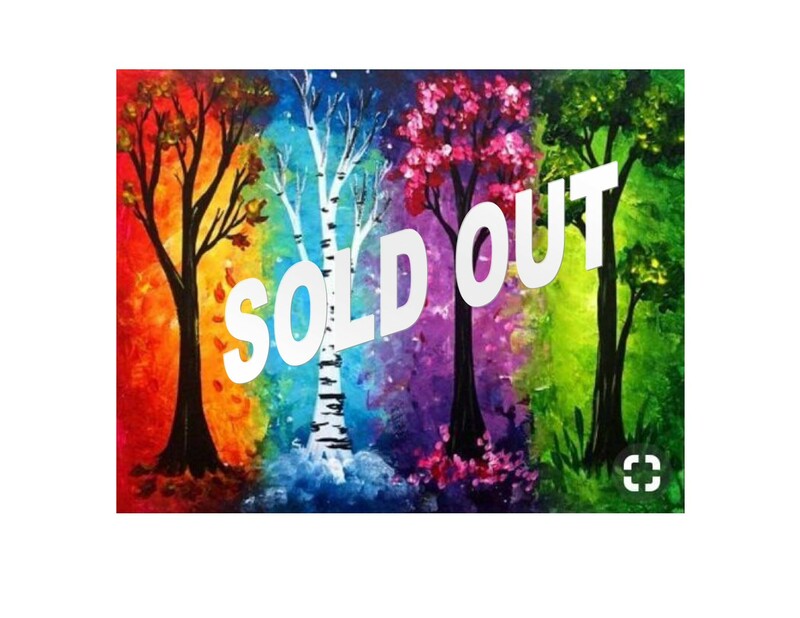 Affair With Art Painting Party-SOLD OUT - Illuminations! Two fun sisters guide you through an artistic experience painting canvas with acrylics! The theme of this canvas is the four seasons. All supplies provided. Bring a treat and your favorite adult beverage if you wish. $30.00 per person for a 16″ x 20″ canvas.